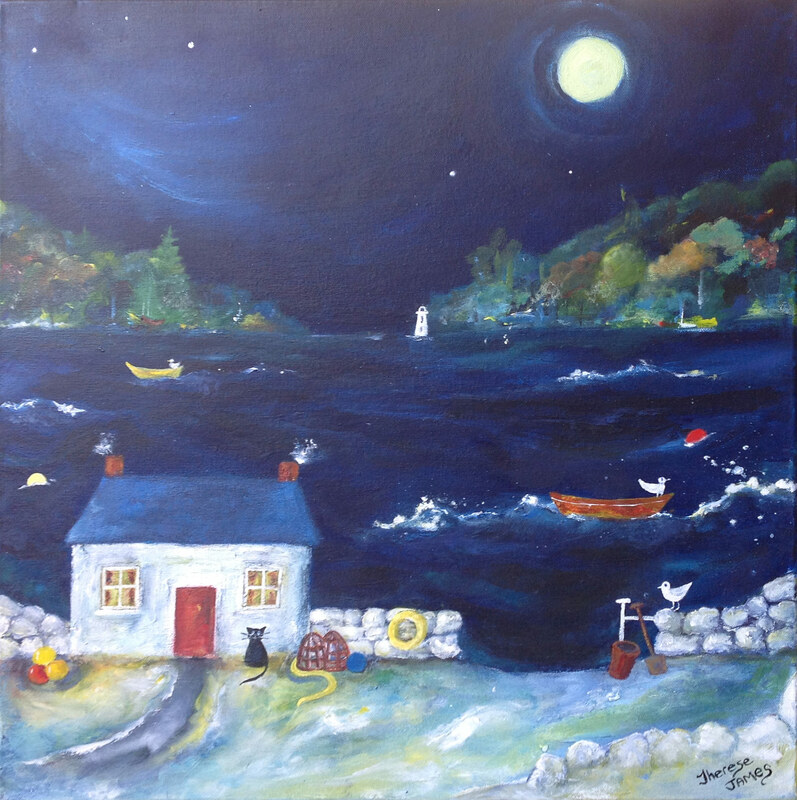 Therese James lives in Wales and has been painting and exhibiting since 1993. Her paintings are joyous and her colours jewel-like; she relies purely on an instinctive approach to her art and has developed her own style to create the narrative to her inner vision/world. She describes her paintings as ‘a roller coaster of emotions, a journey, a longing for home and what the Welsh would call this ‘Hiraeth’. Painting is a way of life for her and she is always seeking to return to her ‘Never Never Land’. Therese was selected for Welsh Artist of the Year and invited to represent the Countryside Council for Wales in an exhibition in The Royal Welsh Show and The National Eisteddfodd. Her work is collected all over the UK and across the world, and is increasingly sought after by collectors in America.